This is an adaptation of the poppy seed bread recipe I posted in an earlier blog. Muffin tops are so much easier than the loaves of bread–and they are easy to share! Though I do still like the little loaves, I no longer have to worry about whether the loaf pans are greased enough to smoothly release each loaf–a problem I solved by buying loaf liners, but I still had to remove the liners from hot loaves. Not anymore with muffin tops! 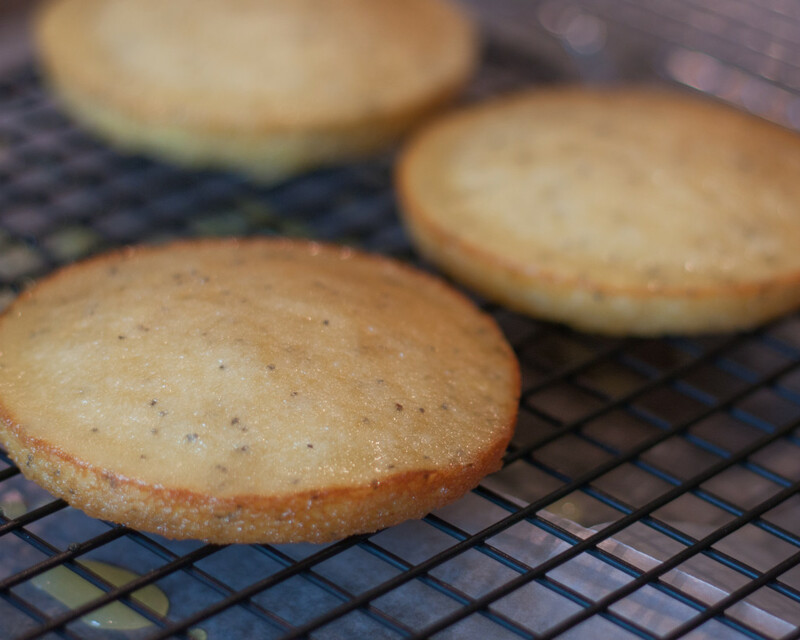 Baking the batter in muffin top tins is much more convenient. Plus, the tops come out perfectly every time–perfect in flavor and release. The size of the tops and reduced baking time make these baked goods much faster to complete. I’m all for that! Since the muffin top variation is easier to make than the original loaf recipe, while you’re enjoying your poppy seed muffin tops, take a listen to Billie Holiday singing “Easy Living.” Now isn’t that easy? Preheat oven to 350 degrees. Prepare muffin top pan by spraying with nonstick cooking spray. Set out a large cooling rack with waxed paper under it. 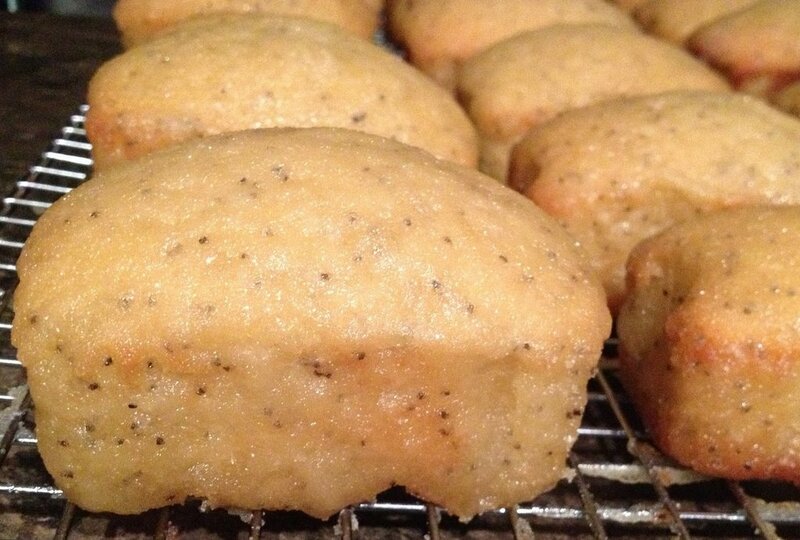 In a large bowl, combine flour, sugar, salt, baking powder, and poppy seeds. Whisk together. In a medium bowl, combine milk, oil, eggs, almond extract, vanilla extract, and butter extract. Whisk together. Pour wet ingredients over dry ingredients. Whisk to combine but do not over-mix. Fill the muffin top cups three-fourths full of batter. Bake for 11-15 minutes. As soon as the middle is set, remove from oven. 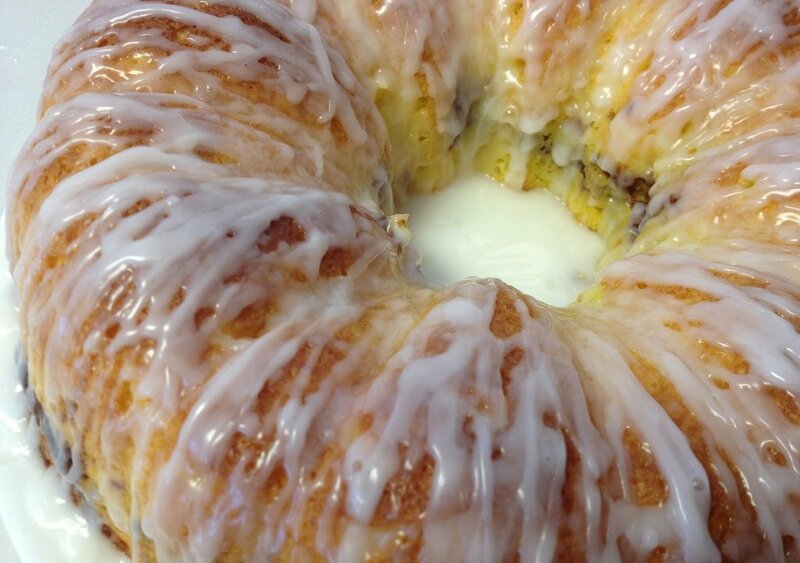 While muffin tops bake, prepare glaze as directed below. Put glaze in a flat, sided container or flat-bottomed bowl. Keep stirring with a fork in between glazing muffin tops. With a silicone spatula scraper, remove muffin tops one at a time from the tin and lay in glaze. Quickly turn muffin top over so the glaze coats both sides and edges. Lift out of glaze with a wide, slotted spatula and place right side up on the prepared rack to cool. Glaze needs to crystallize for at least 2 hours. When completely dry, wrap each muffin top in parchment paper. Store in sealed gallon bags in the freezer. Remove from freezer shortly before eating. Slice or break off pieces to eat. Mix sugar, orange juice, vanilla extract, almond extract, and butter extract in a bowl. Use as directed above.